Over – Next Hipster Trend is what's HAWT, NEXT! This guys has it all! Here he is, you’ve seen him at Trampled By Turtles shows, doing the hipster 2-step and fist pumping during the banjo solos. We here at NHT love this guy. We want to help him keep ahead of the curve. So that’s why we’re calling PBRs OVER! Currently the refuge of cash strapped hipsters who want to throw back cheap beer and be a throwback to their Gramdpa’s opening fishing wknd ethos. Heck they’re already “wearing your grandpa’s clothes” so why not drink his bad beer too. The hope we’ve all had was of course the resurgence of the American craft beer movement. Duluth, MN is (per capita) second only to Portland, OR in micro-breweries per capita. All hail the comeback of craft beer ..it’s soooo popular that you guessed it….NHT calls it OVER! too. Doesn’t mean we wont keep drinking our Bell’s Two Hearteds up here but we can’t in good conscious recommend them for hipsters. They really can’t afford them anyway. So what’s a hipster to do? NHT humbly suggests hard cider. It’s available, reasonably priced and esoteric enough to cause other uninformed hipsters to ask some questions. You can try and order it at your favorite bar and they wont even have it .. imagine how hip it is to out hip the bartender! This is hipster gold. The cider drinking hipster can reference apple horticulture techniques, Ben Franklin (an original hipster), and Appalachia. That hipster will get laid tonight for sure. 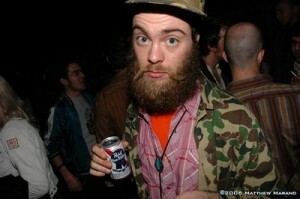 UPDATE: Looks like Hipster Power is in the Pocketbook: Hipsters drive up PBR prices. So to be very clear, once and for all, hipters please cease and desist with the PBRs, skip the craft beers and get into hard cider. Tats, Aviators, fanny pack and Banjo – OMG This is a hipster dream queen. Too bad it’s OVER! Once the domain of the denizens of HeeHaw, Porch Savants and Pete Seeger, banjos have been been the darlings of the hipster music scene. 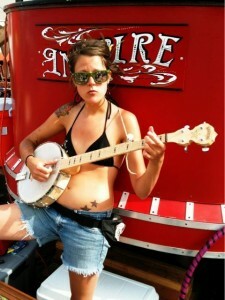 Nothing screams “I’m a simple, modest and earnest person” like a banjo. The once height of esoteric Appalachian folk music, now is pure top-40 de rigueur and true hipsters should do the quickest Walton Mountain two-step possible as they run away. Exception is of course, Steve Martin. Anything this guy does is GOLD. 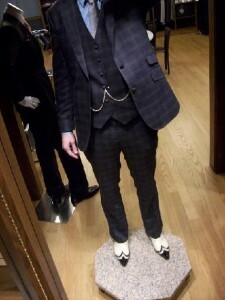 He alone is probably keeping this trend actually hip in perpetuity. Possible replacements include the samisen, Ondes Martenot and Sacbut. Frankly, I’ve been worried for bearded hipster banjo players for sometime. The potential for getting so into an emotive rendition of Foggy Mountain Breakdown and then accidentally having ones prized lumberjack-esque facial hair becoming tangled in the blurred steel of flailing banjo strings …the horror .. the horror. Now we cant claim OVER! on banjos yet, but as evidenced by the real science of the trend-o-tron, banjos are on a steady and slow decline.